We’ve been working hard this semester at Free Ventures, and we’re more excited about our current batch than ever. Last week, we visited Greylock Partners and Sequoia Capital with our teams for a fun-filled day on Sand Hill Road. 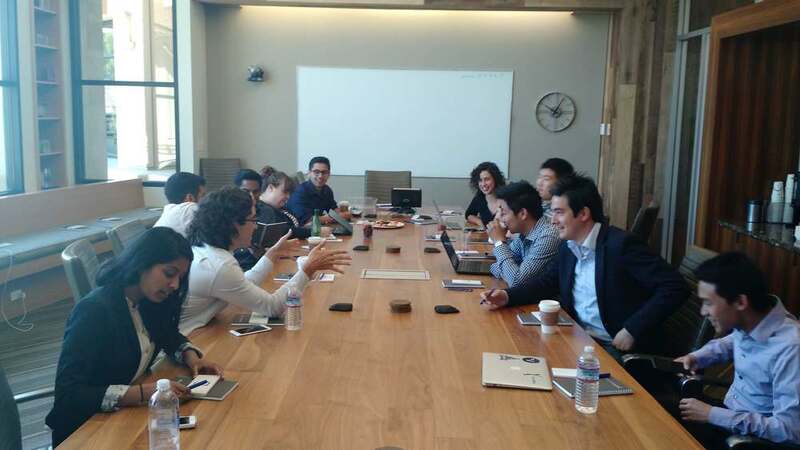 At Greylock’s office, our teams each gave a pitch on their respective companies to investor Sarah Guo. This was a really great experience for the teams, and they gained valuable feedback from Sarah on both their product and their pitches. The teams got advice from Sarah on how to better prepare for Demo Day and the future. Sitting in the conference room at a large wooden table, it felt like the teams were pitching to raise money from Greylock and having the teams pitch in this atmosphere was a really unique experience. Sitting in Greylock's awesome conference room! The teams finished their pitches, and we had a round table Q&A session with Sarah. Questions ranged from “What do investors look for when making an investment” to “How do I become a venture capitalist?”. Overall it was an awesome learning experience, and we can’t wait to come back! We finished up our visit to Greylock, and headed down the street to Sequoia Capital for lunch with partner Aaref Hilaly. The conversation with Aaref focused mainly on how to build a startup, and he shared a lot of his personal stories about starting his own company. Aaref’s stories were very relatable, and talking with him provided our teams with a lot of inspiration. We were able to get valuable insight on what makes a successful business, and how to stimulate growth. After we had cleaned our plates, Juliette Perfettini gave us a tour of the office and we got the insider’s look at how a VC firm operates. We saw the office of Sequoia founder Don Valentine, often called the “Grandfather of Silicon Valley venture capital”. Sequoia’s office is beautiful, and we were very lucky to be one of the select few allowed inside. We said our goodbyes, and headed back to the East Bay to prep for Demo Day! Free Ventures’s semi-annual Demo Day is coming up on May 4th from 7–9pm! We have a great panel of judges, an awesome keynote speaker (Prakash Janakiraman — CTO Nextdoor), and amazing teams. We hope to see you there; you can grab your ticket here! Older PostDemo Day is Coming up Fast!